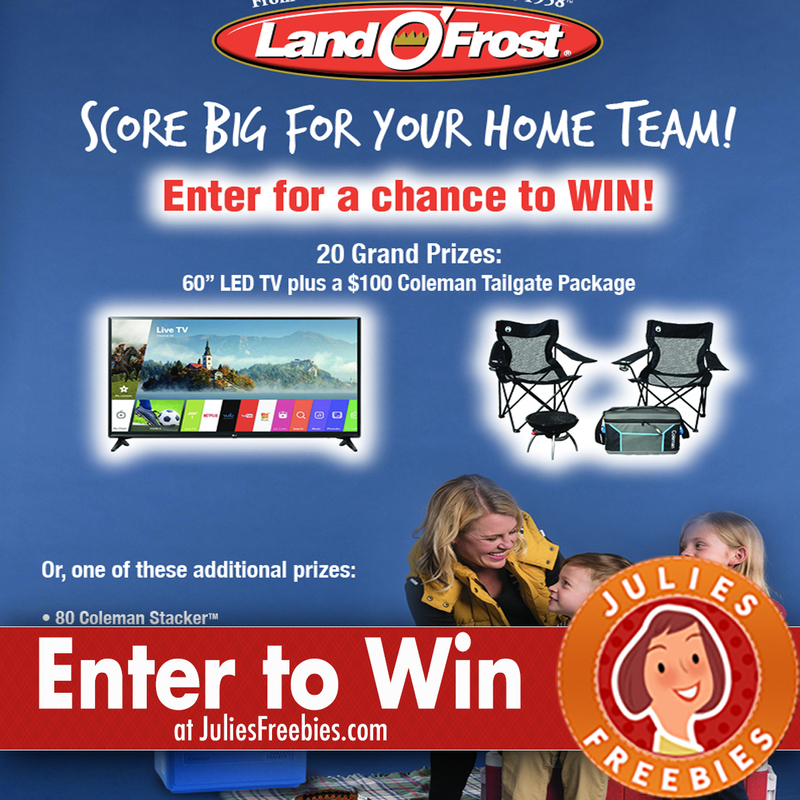 Here is an offer where you can enter to win the Score Big for your Home Team sweepstakes, from Land O’ Frost. (20) Grand Prizes – One (1) 60” LG LED 4K UHD TV; one (1) Coleman All American Tailgater Package including: (1) RoadTrip Party Grill, (2) Quad Chairs, 45 Can Collapsible Cooler. (80) Coleman Stacker™ Duo Cooler Combo Package includes: 48 Can Stacker™ Cooler and 24 Can Stacker™ Cooler. (80)Wilson Sporting Goods Game football. (35) Coleman 16-can soft-sided cooler. The post Score Big For Your Home Team Sweepstakes appeared first on Julie’s Freebies.